Online rabbit care is a resource for rabbit owners and aspiring rabbit owners, giving you all you need to know about basic rabbit care. Making sure your rabbit is looked after well is essential to ensuring that they live for a long time, so here at online rabbit care there is an ever increasing resource of information and articles about looking after your rabbit. If you are new to looking after rabbits, then start here. A good place to get some basic information about rabbits is our epic 100 rabbit facts page. Rabbit Breeds – We look at different breeds of rabbit, how they differ from each other and the different care requirements that each breed has. There are 200 varieties and breeds that we have categorized in our comprehensive listing of rabbit breeds. Nature and character of rabbits – We look at what makes a rabbit a rabbit, what they are and what they are like. Choosing a rabbit – how do you go about choosing a rabbit for the first , second, third or fourth time or even more? In this category, we have a look at things you need to check out when choosing a rabbit. How to feed your rabbit – We look at the things you need to consider when feeding your rabbit. Rabbit foods – We look at all the kinds of food that you could possible feed your rabbit, from the normal, to the exciting, to the mundane, to the weird, and the downright stupid. We look at them all! How to care for your rabbit – We look at how to look after your rabbit in the right way, checking out all the things you need to consider when taking care of your bunny. Making a home for your rabbit – We look at what you need to consider when creating a good home for your bunny. What are things you need to look at in order to create a place your bunny will enjoy living in. Where do rabbits come from? – We look at where rabbits come from and their history. Rabbit Rescues around the world – We also have a widely increasing list of rabbit rescues around the world that you can check out if you are looking to take on a rabbit. 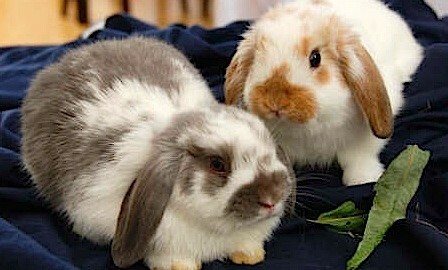 Online Rabbit Care is a site for all rabbit owners to give help and support. Don’t hesitate to get in touch if you have any comments, criticism or suggestions or just want to reach out. You can do so here on in any of the comment boxes at the end of each post.